Chinese Dongfeng Boat Race Team took over, this Sunday (22), the provisional leadership of the fourth leg of the Volvo Ocean Race, contested between China and New Zealand. After appearing for several days in the back of the classification, including at last, the Asian team took advantage of the instability zones of the South Pacific Ocean. The Chinese brought the Spanish MAPFRE and the Arabs Abu Dhabi with them. Worse for Team Brunel, who led the race during the week all week, and dropped to fourth. “We are smiling again. It’s a reward of the work done,” said Commander Charles Caudrelier. The team had to be taken to repair a problem in the mast. It fell to Kevin Escoffier climb and fix. “After 2 hours of hard work in 25 meters high, Kevin managed to paste the part that had left the track. 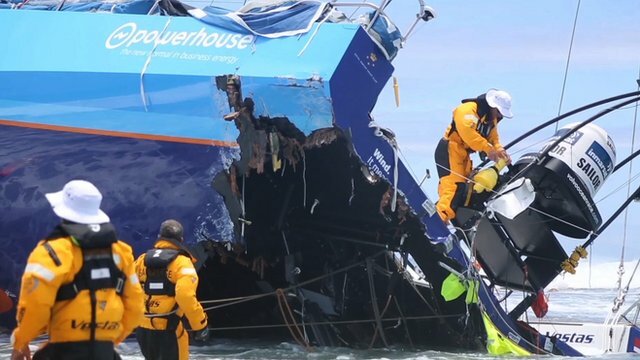 It was difficult because at that point any movement on the boat is amplified,” explained Charles Caudrelier. The fall of the production Team Brunel and the rise of Dongfeng’s relationship with the Doldrums of this part of the Pacific. Most of the time, the boats take little wind. But this time, however, are good sailing conditions after crossing the Ecuador. “The last 24 hours have been good. 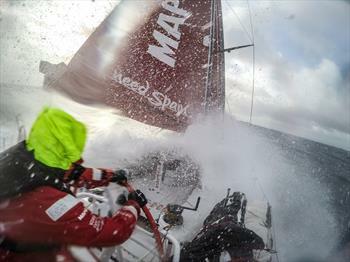 We were blessed with wind conditions for navigating more than was expected based on historical statistics”, said the reporter aboard the MAPFRE, Francisco Vignale. The trend is that the flotilla slacken speed on approach to Fiji. The final destination of the fourth step is to Auckland, in New Zealand. There are now approximately 3,300 kilometers.